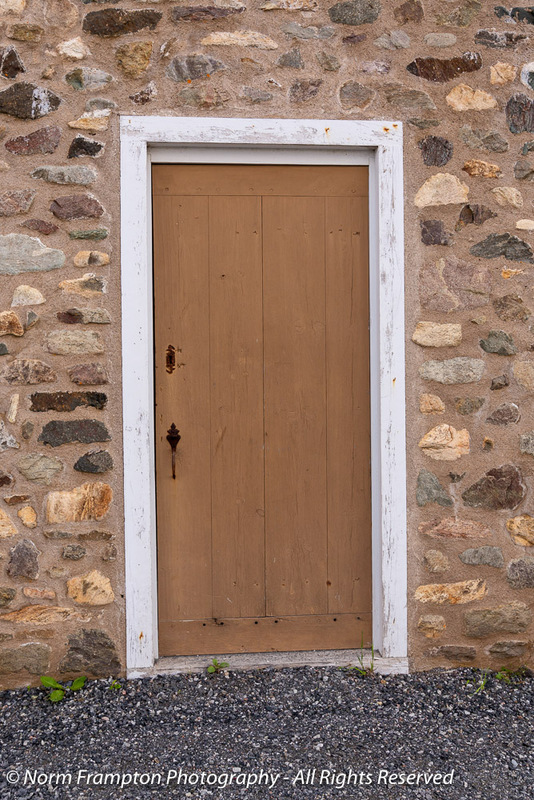 Holiday Note: I’ll be taking a one week break between Christmas and New Years so there will be no #ThursdayDoors link-up post on December 27th. 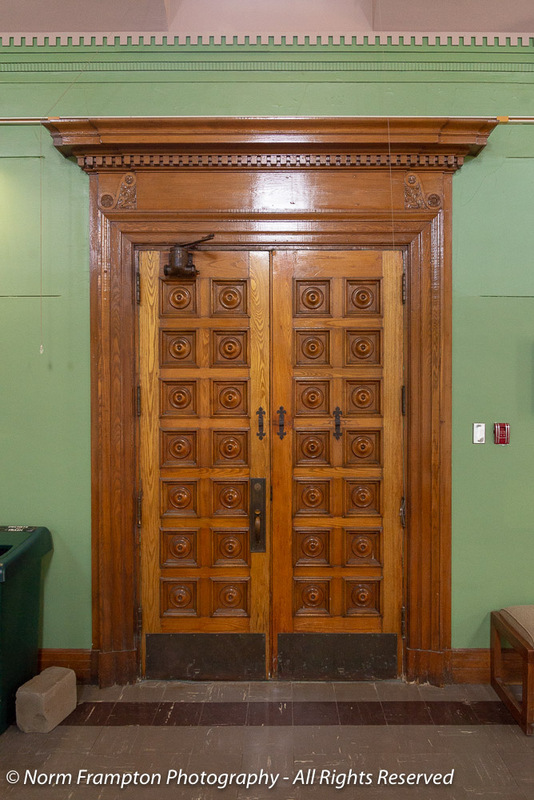 For regular #ThursdayDoors participants please consider the last post of 2018 on December 20th as an invitation to do a year-end recap post of your own favorite door discoveries of the past twelve months. 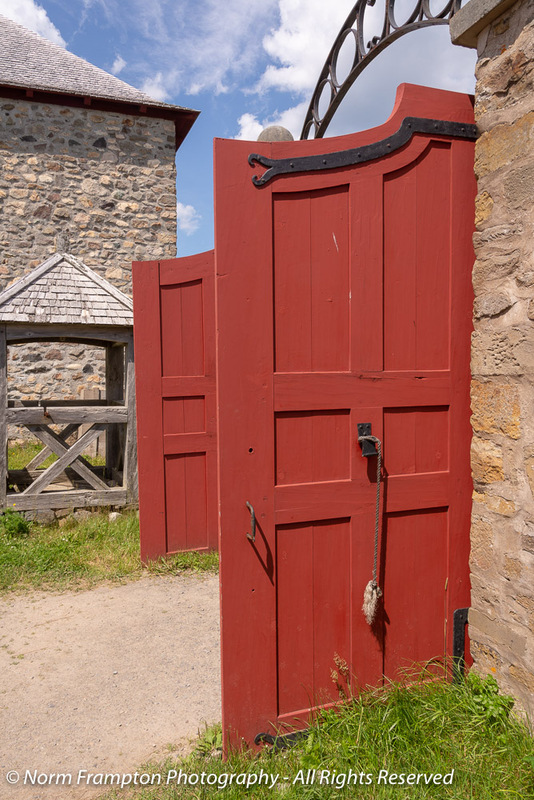 Last week we looked at the military portion of the Louisbourg Fortress National Historical Site, so I thought this week I’d show you some of the doors in the actual town the fortress was built around. 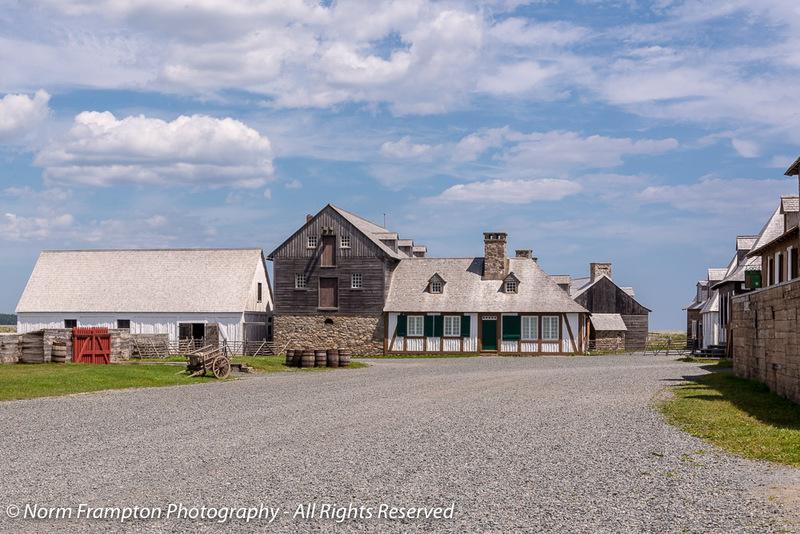 While we were there this past summer we took a guided tour which allowed us to cover a lot more ground and also got to find out oodles of interesting info and historical tidbits. From what we learned during our visit, a fort is a stand alone military structure, whereas a fortress is a military structure encompassing the town that it was built to protect. Parks Canada runs a small B & B onsite that you can actually stay in, hence the “occupied DND” sign on the door. Well, there’s a reason why there are no grave markers to be found in the cemetery. Back in the early-mid 18th century most of the French military and citizens/settlers used wooden crosses instead of tombstones. Wood was much cheaper you see, but since wood doesn’t hold up nearly as well to the elements as granite, well there’s nothing left of those markers today, so no one knows who is buried where. This cross is a replica of the original which was finally recovered from Harvard in 1995. 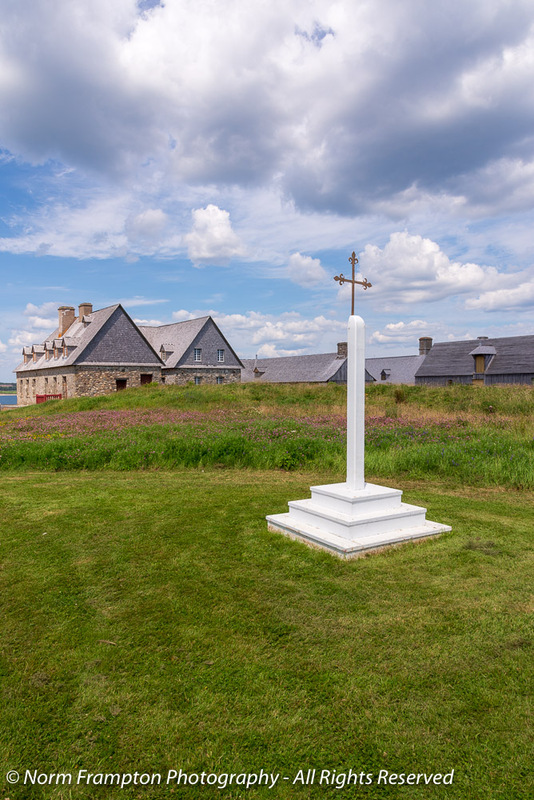 We were also told about the original iron cross of Louisbourg’s cemetery which was taken by a New Englander who had been fighting with the British when the fortress was captured in 1758. The cross was discovered among some other artifacts at Harvard University in Boston in the mid 1990’s, and was returned on loan to Parks Canada, which keeps it on display indoors and out the elements today. 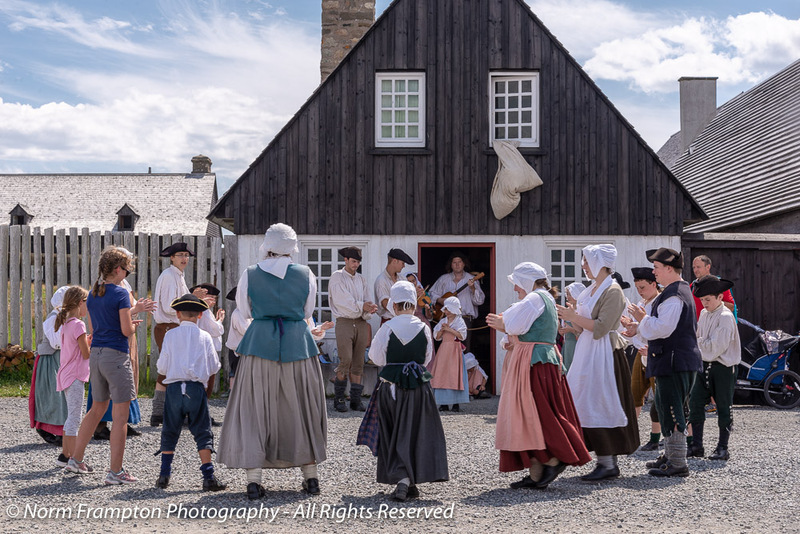 Park employees in period costumes provide animated information throughout the site. We also learned that since a good portion of the population was not literate back then, whenever possible businesses used symbols instead of signs with writing, in order to advertise their products and services. Good news for the weary traveller! A good example: Seeing a mattress hanging out the window at the local inn meant, une chambre disponible à louer – a room available to rent. At it’s peak the town had almost 5000 inhabitants and contained a number of inns, bars, bakeries, various merchants, and of course stables, as well as some fancy, and some not-so-fancy homes. Just like today, money and social status dictated what kind of home you could afford to live in. This would have been the home of one of the very well-off merchants in the town. There is a door in there at the top of the stairs. See it? and lived in much less glamorous accommodations. Thanks for dropping in this week. Perhaps you’ll get to visit this place in-person one day for yourselves. In the meantime I hope you enjoyed our brief tour. Want to share your own Thursday Doors post with others? Please click on the blue button below and add your link to our list. Hey, don’t forget! 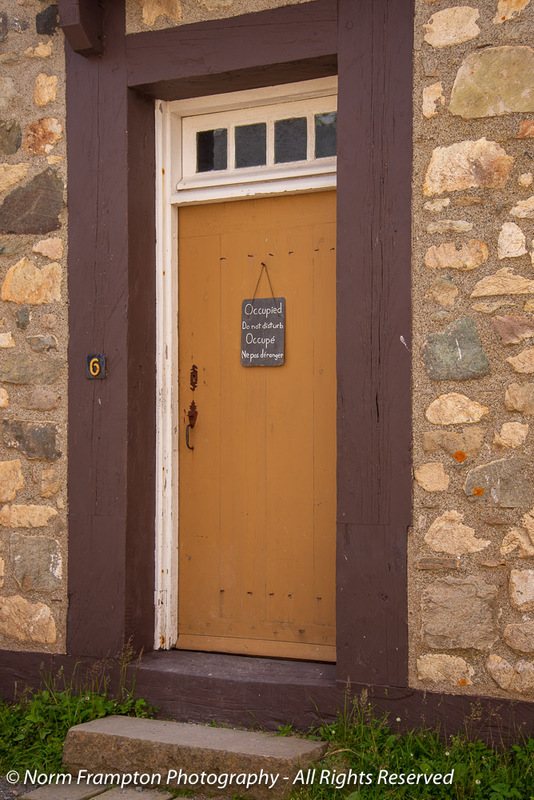 If you share your posts on Twitter and Instagram make sure to use the #ThursdayDoors hashtag to make it easier to find you, and please do take a few minutes to visit some of the Thursday Door posts shared by others. 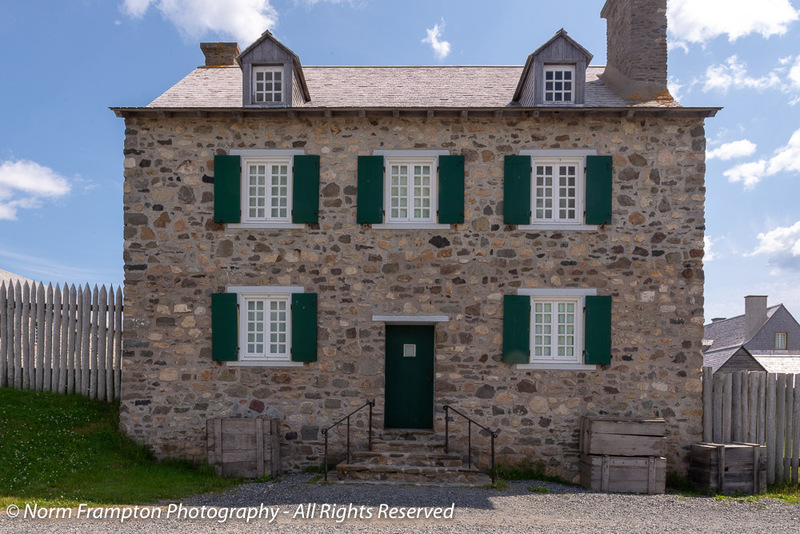 Gallery | This entry was posted in Photography, Thursday Doors and tagged Blogging, Canada, Cape Breton, Doors, Fortress, Historic Buildings, Louisbourg, Nova Scotia, Photography, Thursday Doors, Tourism. Bookmark the permalink. 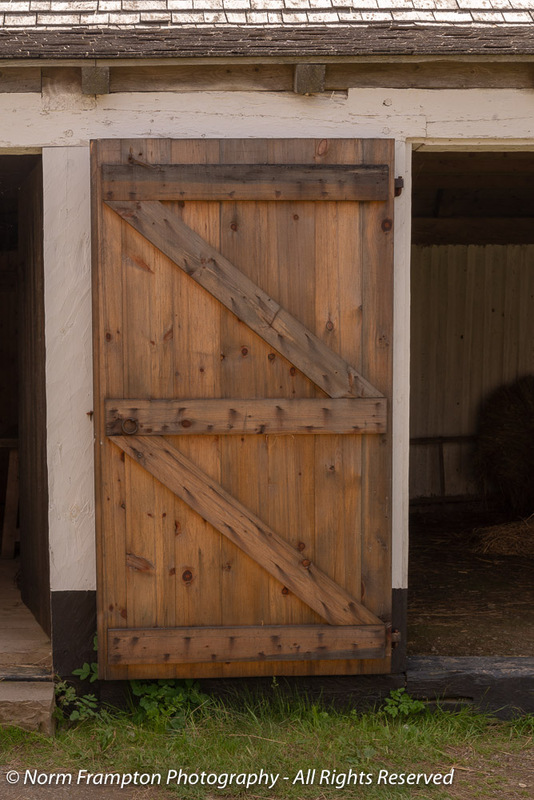 Great doors! Enjoyed learning the history of the area and good to know the difference between fort and fortress. I love the mattress hanging out the window and the small door. Our lives are so much easier, with many more opportunities and better living conditions than back during this time-period. I’m very thankful. The stonework all the buildings, even in the houses of poorer people, is beautiful. And the doors are, too. Great collection! Thanks for the tour, and the definitions. That IS odd, that storage cabinet with the stairs leading up to it. I’m puzzled by that. What an interesting post Norm. Not only did I enjoy looking at the doors, I also enjoyed reading the little titbits. Interesting about the symbols too – makes sense! Since I only know the history of W-Eur. I have a question – so was the turn around for upward mobility during the industrial revolution like in Europe? Or did it take place it on this side of the pond at at different time? Interesting post! I’m not 100% sure on all of the socioeconomic aspects of North American history but I would say that the industrial revolution was probably the primary catalyst. Though I would guess that just the act of gaining independence, and rejecting the monarchy and its inherent class system, would have given it a head start too. 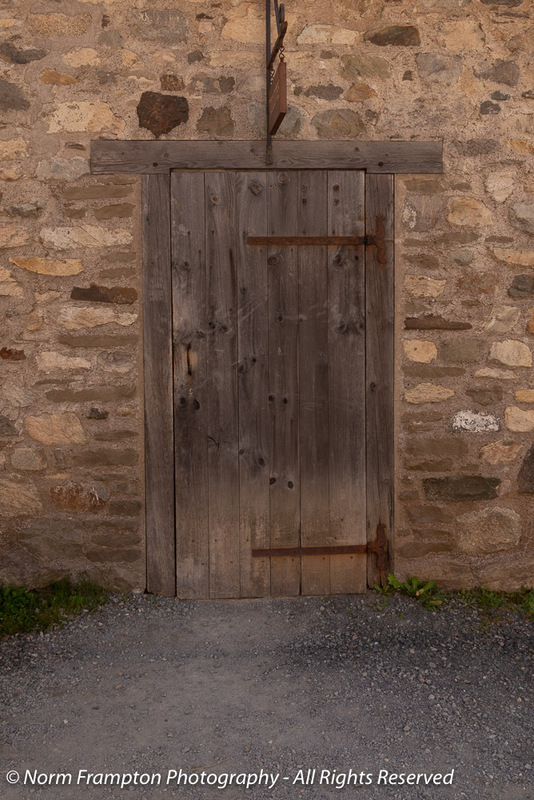 You can take that week off and not feel guilty because you did a coffee table book full of doors today. Love the doors, the little stair is great, and the mattress hanging out the window is a hoot. Now, I will bow my head with shame for the New Englander who took the cross. Sorry about that. Thanks Judy. No need to apologize for the cross this stuff was pretty typical back in the day. You know that during the war of 1812 there were a bunch of militia from Halifax who helped the British burn down part of the White House, right? 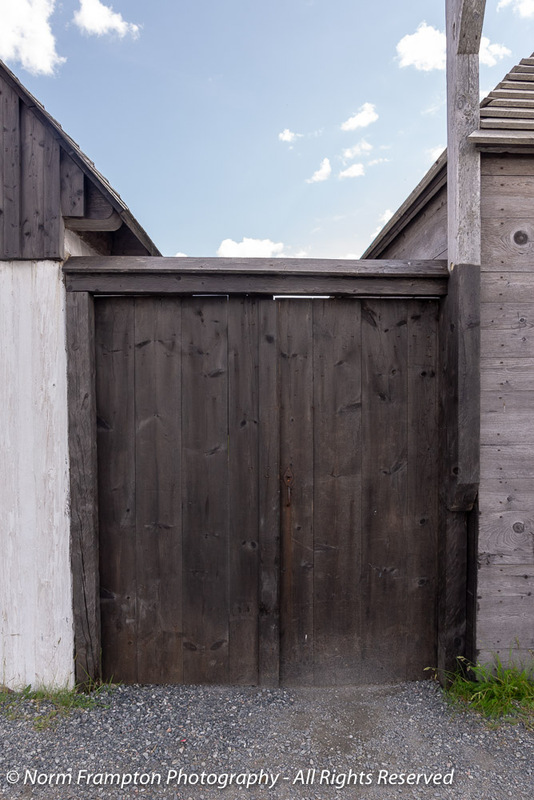 These are great doors Norm and thanks for the information of forts/fortresses,I love learning little details like that. I love those red doors with the downward arch and those magnificent hinges. Regarding the short staircase, sometimes, the little stairs are actually built over the upper end of a set of stairs going to the basement. The cabinet is raised above the clearance required for the lower stairs. I’m sure life was very hard back then but there wasn’t quite the stigma to being poor as there seems to be today. Interesting about the mattress out the window sign! Thanks for learnin’ me today Norm! 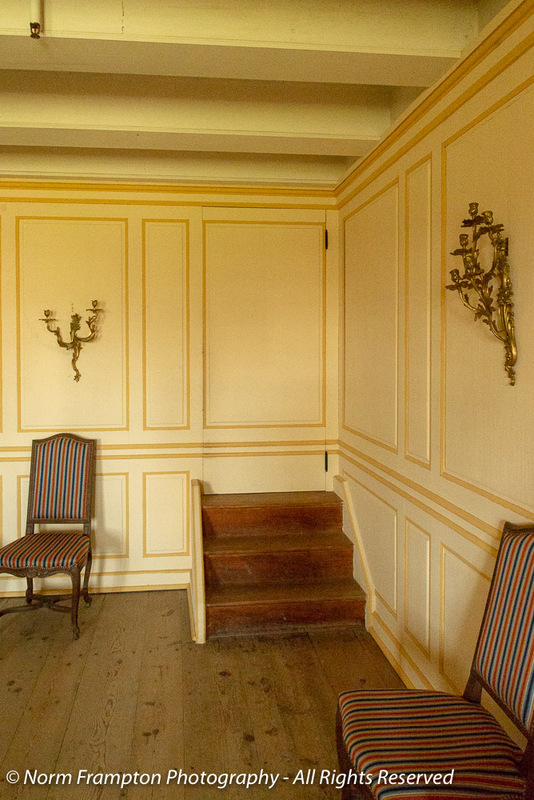 I really like those stairs that appear to lead to nowhere in the yellow room. But because I am a good student with eagle eyes, I see there IS a door there. 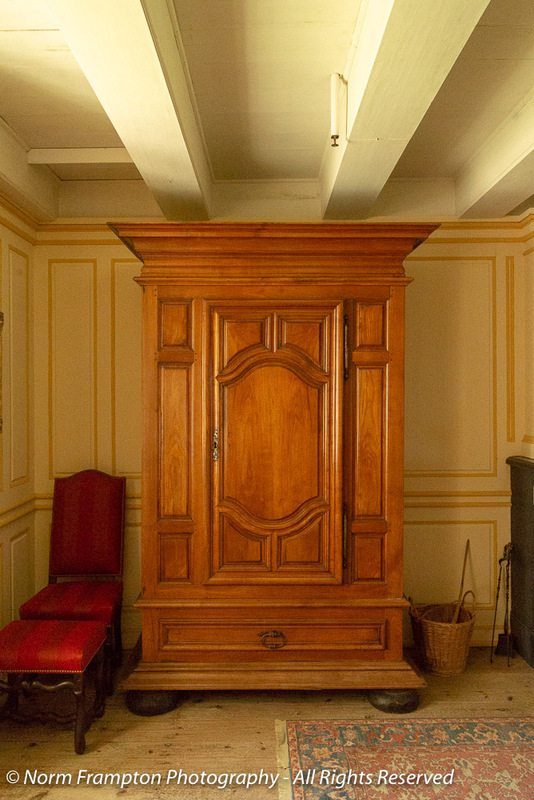 Your tour reminds me very much of Williamsburg, Virginia…the doors, the garb of the settlers, the architecture. Thanks for the $7 tour! By the way, I noticed my comments from yesterday and today are not showing up so I think your blog is filtering my comments into the spam filter. You may have to go into the comments section of your WP admin dashboard and release me from spam prison. Going fishing Norm…thanks for heads up! If not for the hinges I would have missed the door at the top of the little staircase. I love the stone house and the red gate. Wonderful history and tour today Norm! That last brown door looks so wonderful. Nice day too. Thanks. Yes it was a lovely day but very hot +30° C. I remember having to stop and look for shade a few times. So many beautiful doors here Norm, but my favourite pic has to be the window with the mattress sticking out. They really did seem to be taking their chances doing that…rain, birds. I mean your chances of sleeping in a clean, dry bed seem limited. Yes, indeed. No Spray & Wipe back then! I love learning the meanings of these words, like cemetery and graveyard. Yes indeed that would be a good example too. We think of them as interchangeable but they’re not quite the same. Love the window with the pillow coming out of it. What story might be connected? So much to love about this place. 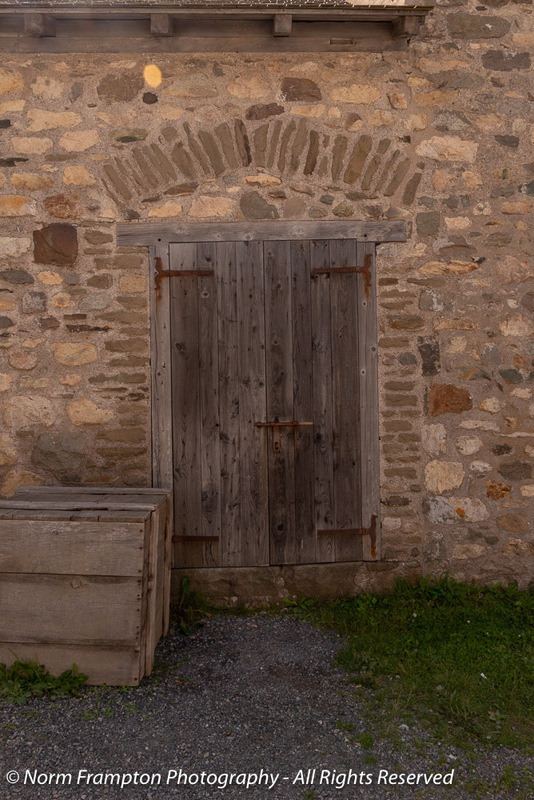 The stonework, the woodwork, the history, the shutters. Great shots, Norm. If you hung a mattress out your window in Ireland the guests would be sleeping on damp beds, lol. The invisible door is a trip. Love this set and the place. Thanks Norm. This is not a tip! 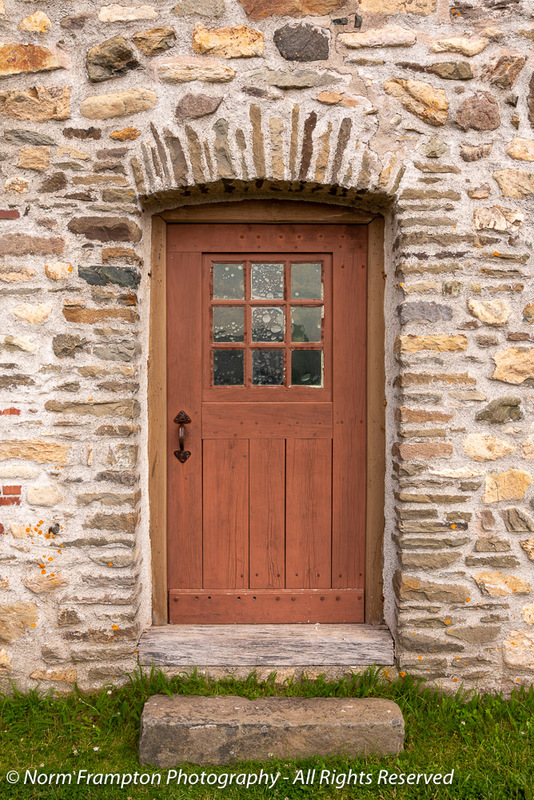 😀 But I wish to oooh and ahhh at the stonework peppered with lovely doors of all kinds, including the invisible one. 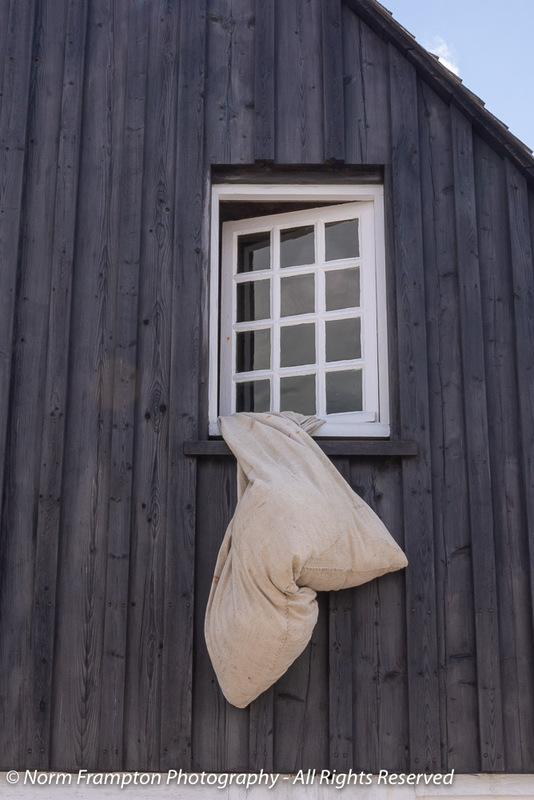 And I wish to embrace the habit of pillow on the window. Also I wish to commend you for the great idea of the end of the year door assembly. Will do it most gladly! Thanks Manja. I had thought about the year-end greatest hits idea too late last year so this time around I wanted to make sure to get people’s attention for this early. I will probably also do a non-Thursday remember post the week before. I adore the ‘stairs to nowhere’ door that you can barely tell is a door. Wonder why it was necessary? Talk about a house with character! I seem to remember reading something in there about it being a built-in storage cabinet, but I can’t remember why stairs were needed to access it.